It seems that radio listening is a habit fewer and fewer Brits indulge in and that DAB radio sales are stalling, despite consistent protestations to the contrary from the BBC. The latest figures show that radio listening down this current quarter with 45.1m adults (89% of the population) listening to radio each week. Indeed, Aunty Beeb's share of the overall listening figure has fallen to 55.5% - Radio 1 lost 7.5% of its listening hours, Radio 2 lost 4.5% of hours and Radio 4 lost 3.4% of hours. The only BBC station that has shown a slight increase in listeners has been oldies' favourite Radio 3. The Smooth, Magic, Kiss and Galaxy networks, in contrast, all gained listeners. MOR, it would seem, is king. 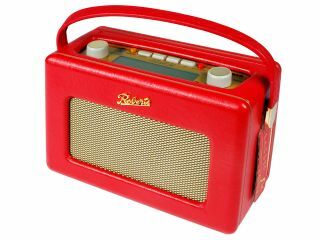 Worryingly, for DAB manufacturers, the number of DAB radio owners has not increased, with 72% of radio audiences still tuning in on those old-fangled analogue radios.